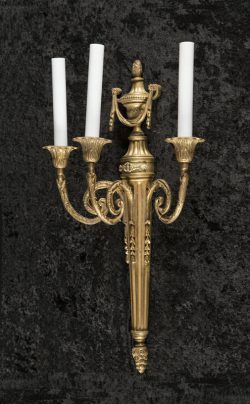 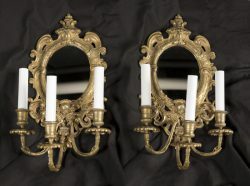 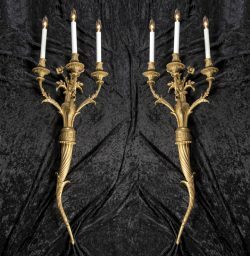 Pair of French 19th century Louis XVI two-light giltwood sconces with Greek key design at base of each bobeche. 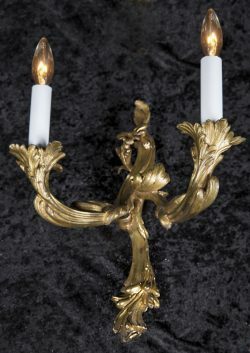 French small single 19th century Louis XV richly detailed bronze two branch sconce. 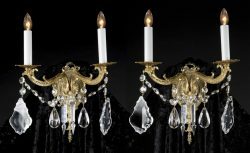 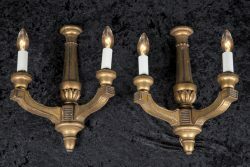 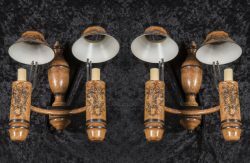 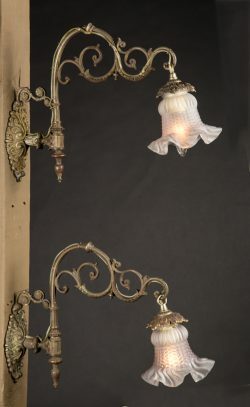 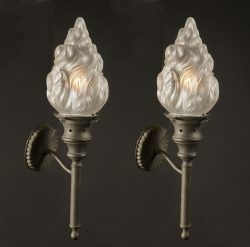 Pair of French 19th century bronze sconces with satin glass shaded light suspended from scroll design arm on each.